Today is my stop on the blog tour for Blue Gold by David Barker which is published by Urbane Publications on May 11th. The near future. Climate change and geopolitical tension have given rise to a new international threat – a world war for water. This most vital of resources has become a precious commodity and some will stop at nothing to control its flow. When a satellite disappears over Iceland, Sim Atkins thinks he knows why. He is given the chance to join the hallowed Overseas Division and hunt for the terrorists responsible. But his new partner Freda Brightwell is aggrieved to be stuck with a rookie on such a deadly mission. Freda’s misgivings are well founded when their first assignment ends in disaster – a bomb destroys a valuable airship and those responsible evade capture. Seeking redemption, the British agents follow the trail to a billionaires’ tax haven in the middle of the Atlantic ocean and uncover a web of deceit that threatens global war. Whom can they trust? Pre-order your copy by clicking HERE. David was born in Cheshire but now lives in Berkshire. He is married to an author of children’s picture books, with a daughter who loves stories. His working life has been spent in the City, first for the Bank of England and now as Chief Economist for an international fund. So his job entails trying to predict the future all the time. David’s writing ambitions received a major boost after he attended the Faber Academy six-month course in 2014 and he still meets up with his inspirational fellow students. He loves reading, especially adventure stories, sci-fi and military history. Outside of family life, his other interests include tennis, golf and surfing. I live in Berkshire with my wife and daughter. I have worked in the City as an economist for the past 26 years. Oh, and we have three pet rats. I’ve always enjoyed writing. Even if it was just economic analysis, I always wanted to write clearly and engagingly. When my daughter started asking me to make up stories at bedtime, my imagination began to spread its wings. After a feeble attempt at a first draft of my novel, I attended the Faber Academy and used that as a springboard. My job involves trying to predict the future all the time, so a setting that drew on those trends seemed an obvious place to start. But I also care deeply about the planet, so a novel that helped raise awareness of global water shortages and explored the possible dire consequences of these trends seemed like an exciting and worthwhile tableau. Blue Gold is a thriller set in the near future during a world war for water. I aim for something that’s exciting and fast-paced, hopefully with some humour to lighten up the darker themes. Using two authors who influenced me a lot when I was growing up, Frederick Forsyth meets Douglas Adams might be an unusual combination that sums up what I aim for. For sure, yes, especially for publishers like Urbane that don’t have the huge publicity budgets to aim for traditional media exposure. I’m a bit of a luddite, but I recognize that people are changing how they interact with each other and with their hobbies or pastimes. It’s vital for new authors to do everything they can to improve the discoverability of their work. I love the act of creating something new. My geekish tendencies enjoy the research involved in writing about diverse subjects. And then being able to turn that dry material into kindling to fire somebody’s imagination is very satisfying. The harsh reality that it’s a saturated market and difficult to get noticed. It would be fantastic to think that my debut novel (plus sequels) might bring pleasure to enough readers that I get a bit of a following. I would hope that by 2022 I will have come up with a new theme to start writing about, and that my skills as an author will have continued to develop. The sequel to Blue Gold, which is called Rose Gold, is already well into its third draft and is due for publication with Urbane in May 2018. There’s a sneak preview of the first chapter included at the end of Blue Gold. After that, I can tell that my characters need one final instalment before they are finished with me, so hopefully part three will be ready by May 2019. I try to read as much as I can, but doing two jobs and making time for family and a bit sport leaves precious little free time. I’ve upped my reading this year and have managed 3 books a month so far. Thrillers, sci-fi and fantasy are my three favourite fiction genres, while in non-fiction I love military history. It would be tough to choose between Douglas Adams’ Hitchikers’ Guide and his Dirk Gently novels for the top spot. He was a genius. One of Alan Moore’s classic graphic novels – The Watchmen or V for Vendetta – might come in third. Frank Herbert’s Dune and Tolkien’s The Hobbit would round out the top five. Harper Lee’s To Kill a Mockingbird is brilliant, a perfect example of a hugely important topic treated light-handedly. Scout’s changing relationship with her father is beautifully rendered and used delicately as a setting to deal with racism. I still work three days a week in the city. I attend a local reading group and engage with other writers at Vanguard readings in South London once a month. I love playing tennis, golf and surfing. I’ll happily watch films, old and new as a way to unwind in the evening. My wife’s not keen on flying or hot weather. So we spend most holidays in Devon. But Iceland is never too hot and only a three-hour flight away. It’s a fantastic venue for experiencing glaciers, waterfalls, volcanoes (hopefully inactive! ), geysers and so much more. Pretty basic stuff: I love beans on toast and a sausage sandwich, while a Roast Chicken with all the trimmings is hard to beat for a Sunday treat. Jasmine tea if I’m being healthy and a pint of ale when I’m not. Born and raised in North West London and now residing in Hertfordshire,Robert Enright has been writing for over 10 years. His debut novel –ONE BY ONE – was self published on Amazon in March 2015, receiving critical acclaim and was nominated for Books Go Social Book of the Year 2015. The violent, revenge thriller gave Rob a path into crime fiction, but the constantly embraced geek within him went a different way. 2016 sees the release of DOORWAYS (October 13th) – published by Urbane Publications – the first in the Bermuda Jones series, a dark sci-fi about an agency dealing with the threat of a parallel world. He can’t wait to write the whole series – if he can put down his Xbox controller or his Nerf Guns. The Otherside is located at the fringes of our world, hiding in plain sight and existing within our shadows. Shielded from humanity, the Otherside is watched over by the BTCO, a highly secret government agency. BTCO agents are the few humans who possess ‘The Knack’, a genetic anomaly that allows them to see the truth of existence. Franklyn ‘Bermuda’ Jones is the BTCO’s finest agent, the only human to have passed to The Otherside and returned. Gifted with the ability to physically interact with The Otherside, Bermuda reluctantly stands between both worlds, pining for the life he had to leave behind and the daughter he can no longer see. Teamed with Argyle, an enigmatic Otherside warrior, Bermuda is assigned the case of a missing woman who has vanished under mysterious circumstances. As Bermuda delves further into the disappearance, he uncovers a conspiracy that threatens to destroy the truce between two worlds…and finds himself in a race against time to safeguard humanity’s very existence. Can you tell me a little about your journey to publication? I actually didn’t pitch Doorways to Matt at Urbane Publication. I originally sent him One by One, and luckily, included one sentence about what I was writing next. He emailed me back asking for an outline of the idea for Doorways as he felt it was one he had never come across before, which was obviously exciting. We then had a conversation and I sent him One by One and a synopsis for Doorways and he was happy enough to sign me to publish it. It all happened out of nowhere as I was expecting to go down the self-publishing route again. What made you choose to write a dark sci-fi series after writing your previous thriller, One By One? It was just where my brain took me. I am a massive sci-fi/comic book fan so most of my ideas are within that sort of realm. I have zombie ideas, Vampire idea’s, super hero ideas. The lot. Doorways originally started as something completely different but the evolution of the idea has lead to the current story and I couldn’t be happier. I didn’t have a set idea to change from the crime thriller genre, as there are still elements in Doorways. However, I just followed my brain and let it lead the way. How would you describe Doorways to readers? It’s a tricky one to pitch. Matt (Publisher) and I agreed that the genre was ‘weird’. The nearest I can compare to is it’s like a darker Men in Black. A secret agency exists that governs ‘The Otherside’, a world that runs parallel to ours and is full of danger. Humans can’t see the ‘Others’ unless they have a genetic defect known as ‘The Knack’, which the main character, Bermuda Jones, has. However his is stronger than any other human and he and his partner, a former warrior from The Otherside called Argyle, are assigned a case of people going missing from places they physically cant. As he follows the trail and tries to piece it together, he uncovers a threat that could destroy both worlds. Being able to develop ideas. Like I said, Doorways was very different in its conception. There was no otherside or monsters or ‘Knack’. It was more like limitless, where Bermuda took a medicine that allowed him to see things. The process of creating another world, their laws and how they interact with our world has been amazing. Being expected to know every book. Haha. Seriously, whenever a question at a pub quiz starts with ‘Which book….’ I instantly get…’Rob, you’re a writer…’. That and edits. No one likes doing edits! Hopefully a few more Bermuda Jones Casefiles on the shelves and doing it for a living. We can but hope…. Hopefully a successful launch for Doorways. I have no idea what to expect and I am so excited for it. The sequel is already being written so hopefully I can bring some more Bermuda to the world. Can you tell me your all time favourite book, or if you have to, your top 5? My favourite series is Justin Cronin’s ‘The Passage’ trilogy. The third book, City of Mirrors is out this year and I can’t wait. The greatest post-apocalyptic series I have read. Will also throw a nod to Garth Ennis’s run on Marvel’s The Punisher. Was superb. Besides the ones above, I would also add Shutter Island and The Martian. Brilliant reads. I enjoy computer games and have recently started binge watching TV Shows. Enjoyed Walking Dead and am now watching Preacher. I also like keeping fit so go to the gym regularly, and have been pushing myself to jog more. I am desperate to go to Japan. However I have been to a few lovely Greek islands and Egypt which were great. Diet Coke (much to my dentists chagrin) and tea. However, I have recently taken a liking to Latte and a cheeky G&T. Huge thanks to Rob for answering my questions! Make sure to keep up with the blog tour! First off, my thanks to Netgalley and Urbane Publications for my copy of Death In Profile. Intellectual analysis and police procedure vie with the gut instinct of ‘copper’s nose’, and help appears to offer itself from a very unlikely source – a famous fictional detective. A psychological profile of the murderer allows the police to narrow down their search, but will Scotland Yard lose patience with the team before they can crack the case? I had Death In Profile on my kindle for a while before I got to it so with publication day looming I figured this week was as good as any to start it! I had no idea what to expect when I started reading as I hadn’t read any reviews before I started as I like to go into a book with as little knowledge as possible, bar the blurb. I was pleasantly surprised by this book though. Guy Fraser-Sampson has a very nice writing style, and though it took me a few chapters to get into it, i found myself enjoying it. Death In Profile is a modern whodunnit, but it also manages a nod to classic crime fiction along the way. I don’t (and have never) read any of the classic detective novels so I don’t pretend to know much about them but I can see how the author has managed to weave the classic into the modern. The story focuses on the murders of five women in the Hampstead area of London and how the various teams investigate them. I really liked the characters in this book too. There’s the classic “old school” detective, working alongside the decidedly “new school” detectives and how their methods differ is very interesting to read and to see what results are yielded from their investigations. At times, I found myself thinking I knew who had committed these murders, and then I would turn the page only for my notion to be shot down immediately. There are clever hints scattered around Death In Profile and I really enjoyed trying to work it out, even if I was wrong more than once! Guy Fraser-Sampson has written a great novel. It harks back to the classic detective novels, while managing to stay completely relevant and I thoroughly enjoyed it. I gave Death In Profile 4 stars on Goodreads. It is published on March 28th by Urbane Publications and you can pick up a copy directly from Urbane Publications HERE. 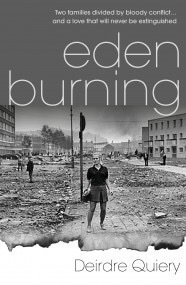 I am delighted to have been asked by Matthew Smith (Urbane Publications) to take part in a competition where the winner will receive a copy of Eden Burning by Deirdre Quiery. 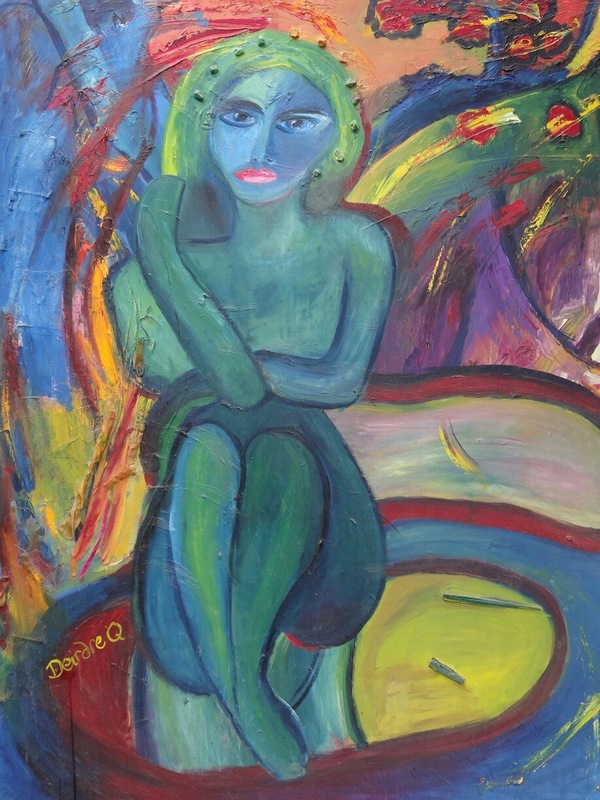 Not only that, the winner will receive a beautiful print by the author, also titled Eden Burning. On the Crumlin Road, Belfast, the violent sectarian Troubles have forced Tom Martin to take drastic measures to protect his family. Across the divide William McManus pursues his own particular bloody code, murdering for a cause. Yet both men have underestimated the power of love and an individuals belief in right and wrong, a belief that will shake the lives of both families with a greater impact than any bomb blast. This is a compelling, challenging story of conflict between and within families driven by religion, belief, loyalty and love. In a world deeply riven by division, how can any individual transcend the seemingly inevitable violence of their very existence? Where is Eden Burning set? The competition is open worldwide and will run from Friday August 21st to 11:59pm Monday August 31st. The winner will be picked at random and their details will be passed on to Matthew Smith at Urbane Publications who will send out their prize.